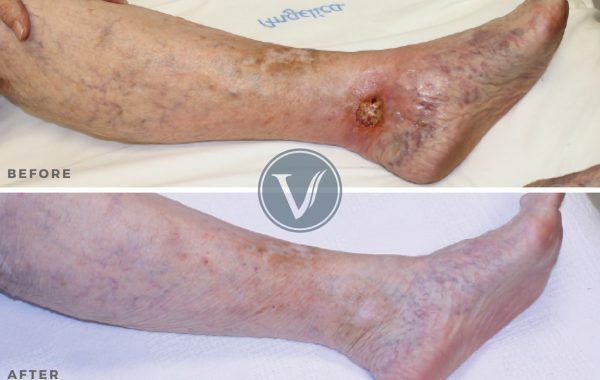 Swollen legs after treatment for cancer for this 50+-year-old patient brought her to seek treatment at The Vein Institute. However, since she had no unsightly vein issues, she was unaware that her swollen legs could be a sign of venous insufficiency. At her consultation, she received a dual diagnosis of Lymphedema and Venous Insufficiency from Dr. Gardner. Watch the video to hear her testimony in her own words. During her cancer treatment, she had lymph nodes removed, which is a common practice in treating cancer. As a result, she developed Lymphedema. This condition results from lymph fluid collecting in the arms or legs typically. It ranges from minor and hard to notice to be so severe that it constricts movement. Her secondary lymphedema was part of the cause of her legs swelling and feeling heavy. After physical therapy to treat the Lymphedema, Dr. Gardner treated the venous insufficiencies in a two-step treatment, one leg at a time. Swelling in the legs that are not related to the lymph system is known as edema, a condition in which valves that aren’t working properly allow blood to pool, resulting in fluid seeping out into the surrounding soft tissues. This fluid will cause swelling. Compression socks can offer short-term relief. Dr. Gardner utilized endovenous ablation techniques to treat the affected veins, relieving the swelling.